Cost: Fee: Gardens members $70; general public $85. 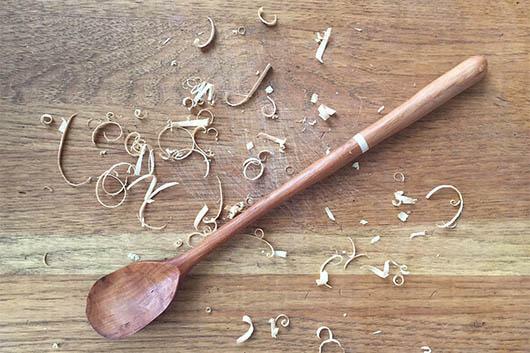 Try your hand at carving a wooden spoon from raw wood collected at Duke Gardens. Vanessa Hernandez of Ask the Trees will introduce you to the tools, safety strategies and techniques of simple carving in this two-session workshop. All materials, tools and instruction are provided so you can complete your own gorgeous, hand-carved wooden spoon. Information on tool purchasing, kitchenware maintenance and a wide range of wooden blanks for you to choose from are included. All participants must complete a participation waiver when enrolling. Meeting dates: Course meets for two Saturday sessions: February 10 & 24, 9:30 a.m.-12:30 p.m. Location: Meet in the Doris Duke Center. Participant limit: 12. Information/registration: 919-668-1707 or gardenseducation@duke.edu.